Deeply moisturising, smoothing and brightening your complexion, this luxurious cream guarantees your skin a future filled with undreamed hydration. Supercharged with vitamin C, collagen amino acids and a whole host of other powerful nutrients – boosted with modern science – this is your shortcut to deeply nourished, supple and dewy skin. Just love this moisturizer, both for Summer or Winter. The skin just gets radiant and smooth, exactly what I was looking for. This is an amazing product! Got this as a sample and loved every application. Will be purchasing as soon as I run out of the free sample. This cream is amazing! The effect is visible after the first application. I have been using it for 2 weeks. It perfectly moisturizes and nourishes the skin. Also, it brightens pigmentation and does not clog my problematic skin. My skin has acquired a beautiful, healthy color. This cream has become one of my favorites! This C+ collagen deep cream is amazing! I would definitely purchase again. I tried this cream out of a sample I got in my last purchase ( big shout out to CB for the generous 15 ml size that lasted more than 2 weeks and allowed me to see the results before buying) and I am absolutely amazed. I wanted something really effective as I have to big wrinkles on my neck and after two weeks they are definitely less visible, at least my husband could notice that! A bit sticky, so I am not sure how it would be on my very difficult, rosacea, scenic and super sensitive skin of my face, but definitely worth recommending if you want a “refresh” of your neck and décolletage! This moisturiser is ultra comforting and leaves my skin glowy and fresh. Perfect after the Alpha Beta pads. Can't be without it now. 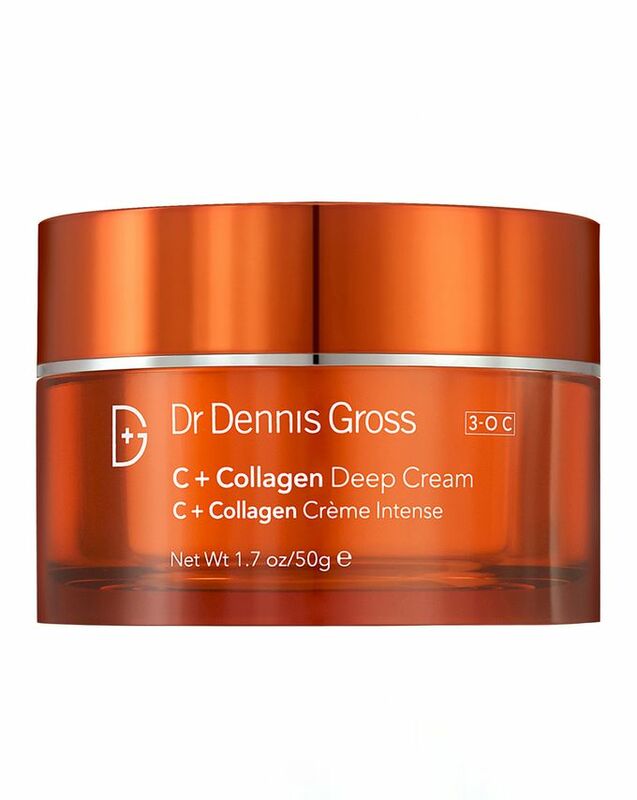 I received this as a sample and just had to purchase the full size after as this cream is simply amazing! I love the texture and feel on my skin and like another review I found the results are instant! My skin is literally glowing and looks super healthy. It also hasn't offended my sensitive skin which is a massive bonus as some products cause a breakout. I also love the smell - it makes me feel fresh and awake and is helping those very early fine lines. LOVE. I was sent this with my previous order and firstly well done for sending a usable size 15ml meant I got a genuine feel for the product! I absolutely adore this underneath my make up and it’s made such a difference to my skin texture! My face was so dehydrated and now.... it’s so soft and smooth! I’ve purchased this! So nourishing and plumping, your skin almost takes on a new colour after applying it, like you’ve been for a run or a steam, it’s truly amazing, either on its own or under makeup and you only need to use a tiny amount, it goes a long way. The Best cream I have ever had! I often get dry patches and dehydrated skin, this moisturiser has been my go to and a life saver for almost a year now. It smells amazing, easy to apply, packed with great ingredients and just works so well with makeup. I’ve got my sister to try it too and so far so good. A tad expensive but when you see the results you soon forget about the cost. I have pretty sensitive skin, I have ginger hair and fair skin (partial to lots of fake tans)! I am also pretty wary of fine lines and wrinkles even though I'm in my 20's and I enjoy feeling and looking dewy. I was delighted when I chose this cream and the serum as a tester in one of my Cult Beauty orders. My skin was absolutely saturated with goodness! I had no experience of burning or irritation once using this product. The cream is thick and light with a slightly sticky texture once applied which I enjoy in a cream. I look forward to using it every night and the occasional morning (if I feel my skin needs a pick me up). Can't wait to see the results after a longer period of time using this!